Learn how you can revamp your site by editing the text, background and site properties of the responsive pages using this feature. Click the arrow in the top right of the responsive editor to open the right sidebar. Choose the 'Site' tab to access the global settings panel. Under the 'Link Colour', Visited Colour' and 'Hovered Colour' headings shown above, you can change the link colours, text size and font style. NB: If you find some text is not changing when you follow these steps, make sure your text is set to default for the individual components and sections. Click the 'x' next to the font style as shown above when editing individual text. 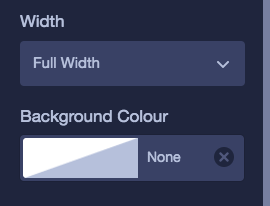 Under the 'Site properties' heading shown above, you can change the default background colour of your responsive pages. 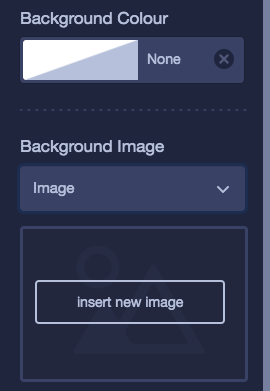 You can also add an image by clicking 'Insert new image' and choosing one from the File Manager. NB: If you find the background on certain pages is not changing, make sure you have not set a specific page background as shown above. Click the 'X' button to return to the default, which will then pick up any global changes.